All boaters using petrol, and especially anyone new to boating, should appreciate the nature of petrol vapour especially in the context of the bucket-like quality of a boat cabin and hull. Even a small spill of petrol will create a large amount of vapour. Likewise when it is being poured and when a tank is being filled, the vapour in the ‘empty’ tank is displaced by the new liquid fuel. Escaping vapour will sink to the lowest level of its surroundings, accumulating at low level in places such as cabin floors, lockers, bilges and other ‘still-air’ spaces. Even if the concentration of vapour is too rich to ignite immediately, it will dilute creating the potential for a serious fire and/or an explosion, even though, given enough ventilation, it may dissipate to a safe level eventually. Before starting out, use all senses to check the fuel system and engine for petrol leaks or any signs of damage or deterioration. Have any problems sorted out first. Do not switch on the electrical supply or turn the ignition key if there’s a strong smell of petrol. Stop immediately if there’s a strong smell of petrol after you start. Keep vapour out of the boat! Before refuelling, close all windows, hatches, doors and awnings; also turn off all cooking appliances and any other ignition sources. Double check before you start pouring, that you are using the correct filling point. Afterwards, clean up any spills straight away. Be sure to re-secure the filler cap. Avoid decanting petrol from containers, but if you have to, use anti-spill containers, spouts or nozzles to allow, clean and easy, no-spill refuelling. Don’t carry spare fuel, unless it is needed and then it must be in cans specifically designed for petrol. Always keep within the legal capacity limits. Containers should never be filled completely and must be stowed securely upright, away from intense heat and out of direct sunlight to prevent pressurisation. Refuel any portable engine or tank ashore and safely away from any sources of ignition. Always follow marina / mooring rules on petrol refuelling and handling. Never use any bowl, bucket or other open container to carry or transfer petrol or mix in 2-stroke oil. 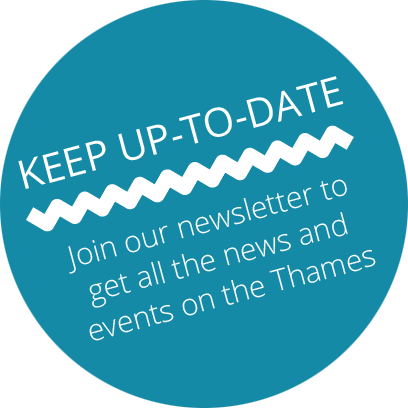 Subscribe to our newsletter to keep up-to-date with the latest news and events on the Thames. Tick this box if you would like to receive news, offers and promotions from Thames Visitor Moorings via email. Please enter the first word in our logo in lower case.